What can our jobs board tell us about the market? 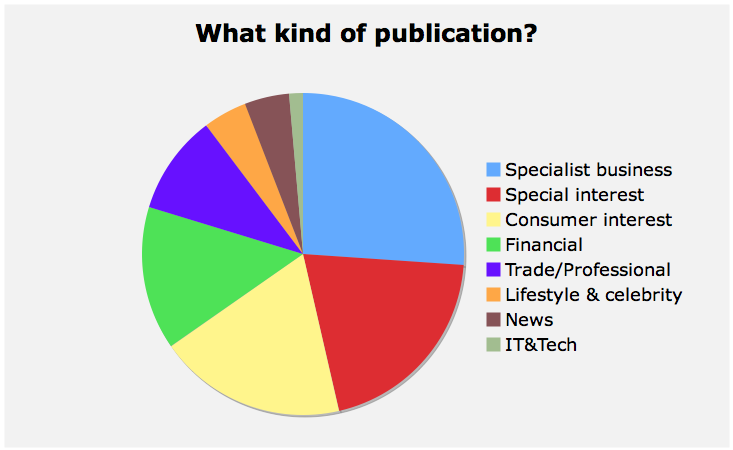 Freelance Unbound has produced a great post looking at the current state of the journalism jobs market, based on data analysis of Journalism.co.uk’s own job listings. The most telling items in the chart are the tiny slices for lifestyle and celebrity – the most popular media choices for j-students – and for general news reporting. Very few jobs are advertised in these areas (at least here). This entry was posted in Editors' pick, Jobs and tagged job advertising, Jobs, journalism jobs, media jobs on November 1, 2010 by Laura Oliver.